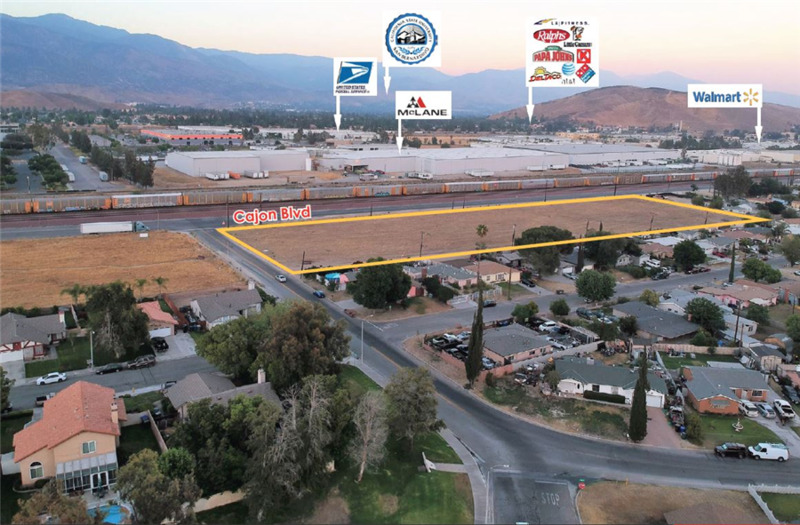 Short distance to University Parkway, which includes retailers: Starbucks, Walmart, LA Fitness, IHOP, Ralph’s, Yogurt Land, Bank of America, Sprint, McDonalds, Jack in the Box, Carl’s Jr, and much more. Excellent Job Market nearby with Cal State Univerity employing more than 2,500 people. 17th largest city in California with ±216,995 people, and 102nd largest city in the U.S. Nearby to Glen Helen Amphitheater, a 65,000-capacity amphitheater. It is the largest outdoor music venue in the United States. 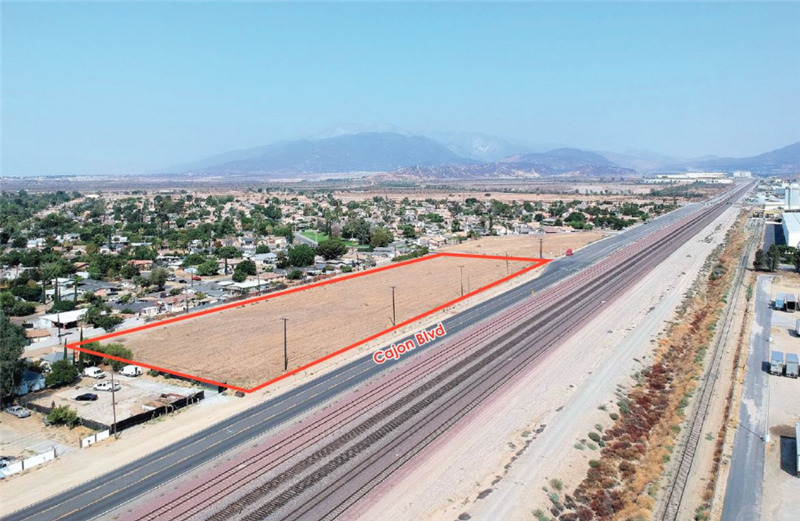 The Growth Investment Group is proud to offer SEC of Cajon Blvd and June St. lot, an attractive development opportunity in San Bernardino, California. The property is 4.6 acres zoned Miscellaneous Commercial. This opportunity is in a non-rent-controlled area, within close-proximity to California State University of San Bernardino. The site is surrounded by residential homes as well as being very commuter friendly with a short 3-minute drive to FWY’s 210 and 215. The area is largely comprised of residential homes in the north-western part of San Bernardino known as Muscoy. Cal State University San Bernardino is less than 10 minutes away employing over 2,500 people and enrolling ±20,461 students as of Fall 2017. Being located off University Parkway, there are an array of amenities and retailers such as: Starbucks, LA Fitness, Walmart, McDonalds, Jack in the Box, CVS, Ralphs, Yogurt Land, Dominoes, Bank of America, Sprint and more. The property is also located a short distance from Glen Helen Regional Park, which also includes Glen Helen Amphitheater, a 65,000-capacity outdoor music venue, the largest in the United States. The property is situated in the expanding city of San Bernardino with all its appropriate amenities, suitable dining and shopping. San Bernardino is a city located 60 miles east of Downtown Los Angeles. It is home to the Glen Helen Amphitheater, California State University of San Bernardino, National Orange Show, NOS Event Center, the Inland Empire 66ers and the World’s First Original McDonald’s. The United States Census Bureau estimated San Bernardino's 2017 population at 216,995, making it the 17th-largest city in California and the 102nd-largest city in the United States. The property is ideally surrounded by residential homes, as well as 10-minutes from California State University of San Bernardino. In 2013, California State University, San Bernardino was named a 2014 Best College in the Western Region by The Princeton Review for the tenth consecutive year, ranking CSUSB among the top 25 percent of universities across the nation. 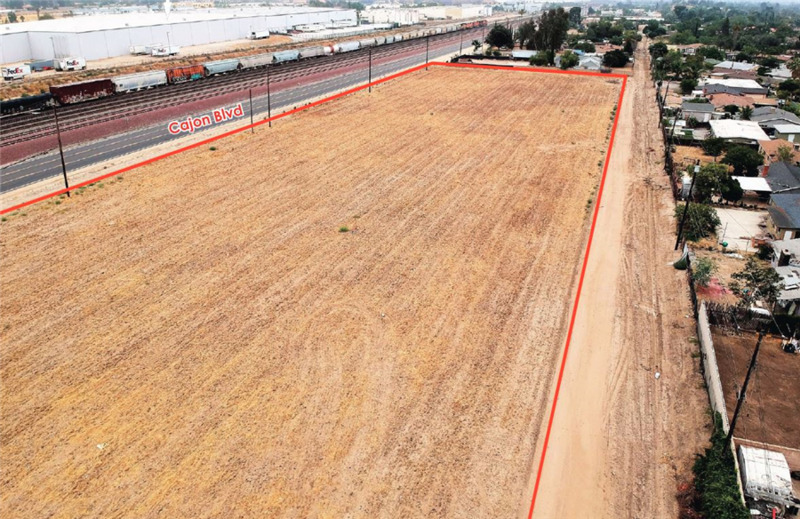 The property is situated on Cajon Blvd located between University Parkway and Institution Road. The property is just a short drive to FWY 215 and FWY 210 while also minutes away from all the shopping and amenities near Cal State San Bernardino.